It was a two day mini October Fest. Brews and BBQ contests. It was so successful that it will again be schedule for this exact same weekend next year. No distinguishing land mark out there but the *(Risenrad.) Ferris Wheel was my indicator totake a right turn. The BBQ and Chicken competition and Micro Brews was sponsored by Cisco. The winner Smoke Damage hailed from Jupiter. “How long have you been doing this?” “Four years” “I’m a house painter by trade. ” It was a friendly competition everyone seemed to know each other, after all they just spent most of the day next to each other. The Club house was restricted to a high stakes poker game. Periodically you would see a group of overweight grown men, outside the door taking a break. One could spot them chomping on their cigars. The grand prize winner got a trip to Las Vegas all expenses paid and his entry fee paid to the National Poker tournament, entry fee being $10,000. Everything for the weekend was by ticket. once the gate fee was paid. food,rides, drinks . There was a small window of opportunity for those who subscribe to groupon. I mention this as this event will again take place next year same weekend. By 4 p.m. it started to swell and the crowds were larger and larger. You can really add on the lbs. here, especially if you fall for the cupcake ice cream shake, so not, traditional. Not only was there the advertised BBq but the regular German kitchen was also serving, tradition German cuisine. I recommend the brat-wurst and sour kraut and beefsteak potatoes. Beer the perfect accompaniment tastes like beer should and there was so much to choose from from all the micro breweries. The AmericanGerman Club is on Lantana Rd. just west of Haverhill with a Lake Worth Address. Imagine I’m still in Lake Worth and only 7.8 min. and 15-17 min from my house. Day two was calm and all that is German was easily seen, the Dirndl dresses und Lederhosen. Band came all the way from Epcot Ctr. for the afternoon. The kind of music I would expect. I just missed the Maypole dance two days in a row, but saw this lovely 96 old lady in pink take the floor. They fly in the bands from Austria and Germany. Two weekends of music, and gemutlichkite. *sometimes it is easier for me to know the word in German instinctively, then to translate the word. The Lake Worth Art League did a bit of Schnapps tasting, everyone had a good time and of course the art is always for sale. The wind was a challenge. 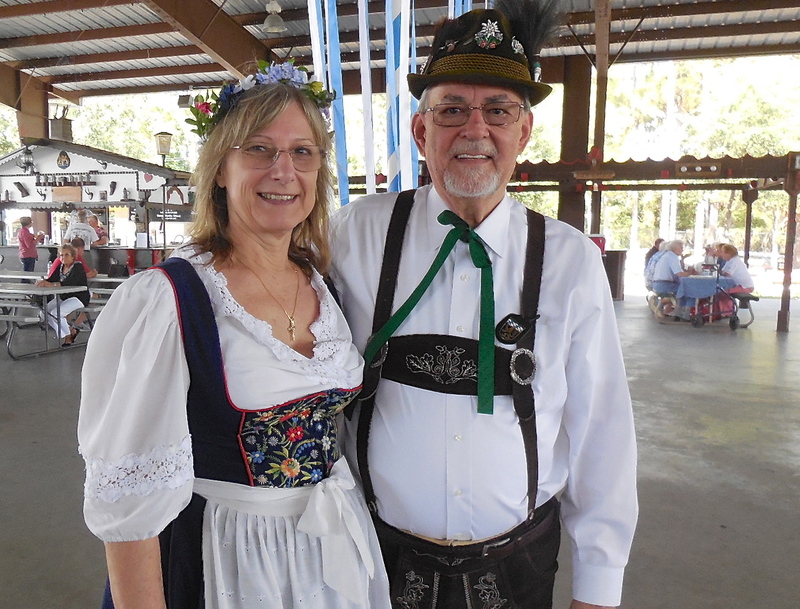 This entry was posted in art, art Lake Worth, beach town, culture lake worth, Lake Worth artists, Oktoberfest, Uncategorized. Bookmark the permalink.